Churros are pretty much the best. 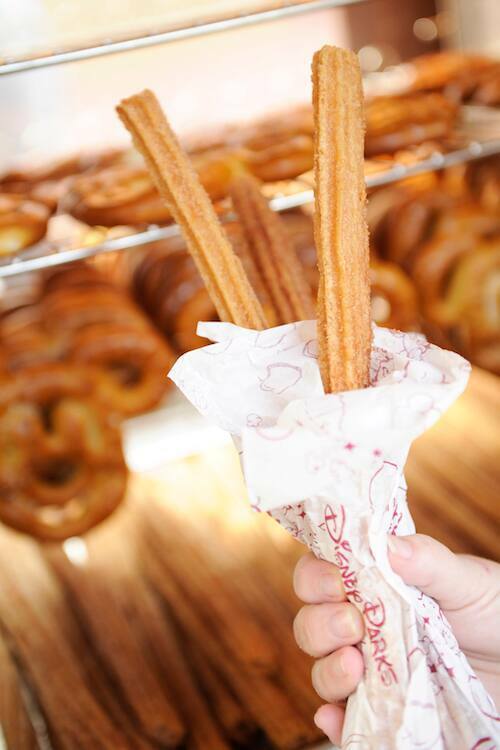 If you didn’t already know, there are churros all over the Disney Parks on both coasts, and our guests consume over 5.5 million of them every year. Churros can be found all over our parks and resorts, and you never know what fun flavors you might find, from classic cinnamon sugar to sour watermelon. I’ve got the inside scoop on where to find the best of the best from east coast to west, and I’ve even got a special recipe to share with you! Disneyland Resort has upped their game in the past few years with specialty churros like the S’mores Churro! Now I LOVE anything s’mores flavored, and this churro is definitely one of my top favorites. Just hop on over to the New Orleans Churro Cart or the Churro Cart near Splash Mountain to find this scrumptious graham cracker-dusted churro that comes with a marshmallow-chocolate dipping sauce. Want some sourness in your life? Well then the sour watermelon churro is for you! You can find this unique treat at the Churro Carts near Splash Mountain and Big Thunder Mountain Railroad. 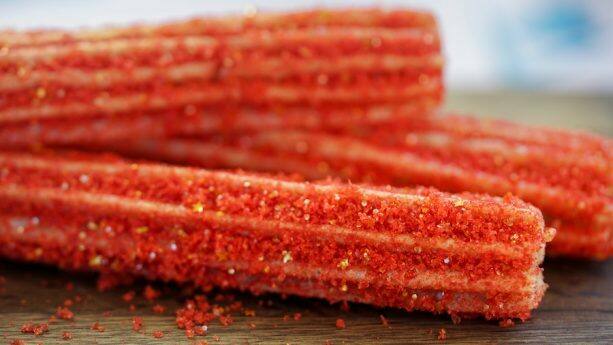 This churro with bright red sugar has been a guest favorite since it debuted in Disneyland park. For a churro that’s out of this world, try the Galactic Churro with purple and black cinnamon sugar and tiny silver and pink stars, found in the shadow of The Collector’s Warehouse in A Bug’s Land. You can also find a red churro in Cars Land that comes with crème anglaise – “Katchow!” And near Star Tours in Tomorrowland in Disneyland park, you can choose between churros with red- or blue-colored sugar. With all of these bright colors, you can easily take a perfect photo for all your social networks! For the holidays at Disneyland park, you’ll find an AMAZING peppermint hot chocolate churro near Sleeping Beauty Castle and also in Town Square. 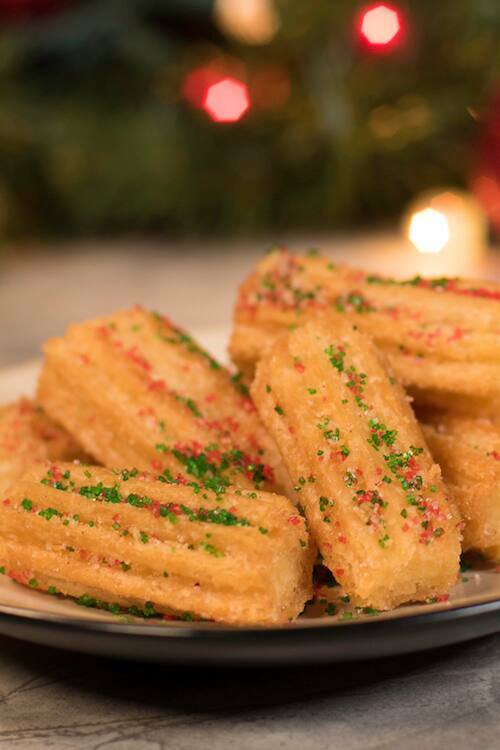 But this churro is only available through Jan 7, 2018, so go try it while you still can! Are you a fan of a good funnel cake? Well what if I told you that you can get a churro funnel cake at Hungry Bear Restaurant in Disneyland park? This delicious house-made dessert comes topped with cinnamon sugar, caramel and whipped cream. 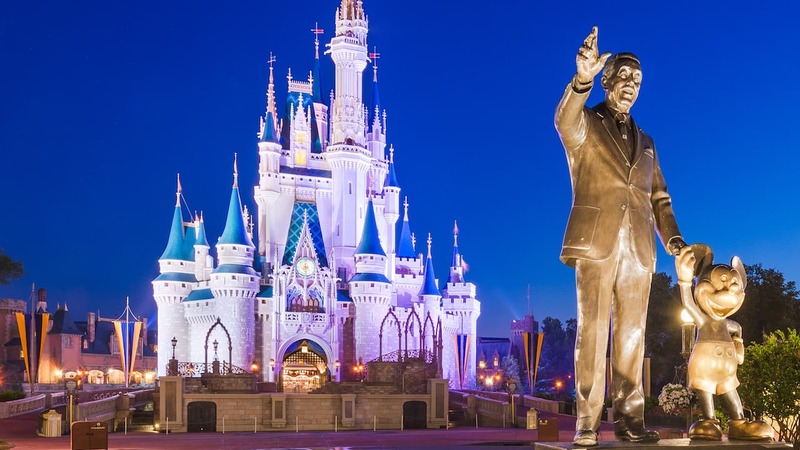 Down here in Orlando, Walt Disney World Resort has some fancy churro offerings of its own, In Epcot, the kiddos can enjoy a delicious dessert of Churritos with chocolate and caramel syrup at San Angel Inn Restaurante as well as La Hacienda de San Angel. Churros with caramel dipping sauce can also be found at La Cantina de San Angel. In Magic Kingdom Park, Pecos Bill Tall Tale Inn and Cafe has a churro offering that’s good for all ages! 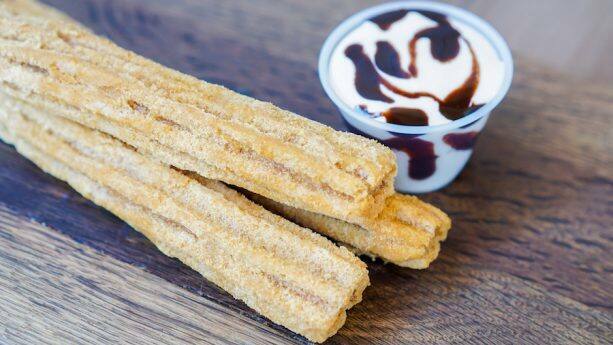 Available year-round, their cinnamon sugar churro bites come with a chocolate dipping sauce. For the holiday season, these bites come with festive red and green cinnamon sugar. If you like fondue, you can get it with a churro, too! At Disney Springs, Morimoto Asia has a special Churro Fondue dessert. These house-made churros come with a chocolate hazelnut sauce and vanilla ice cream. 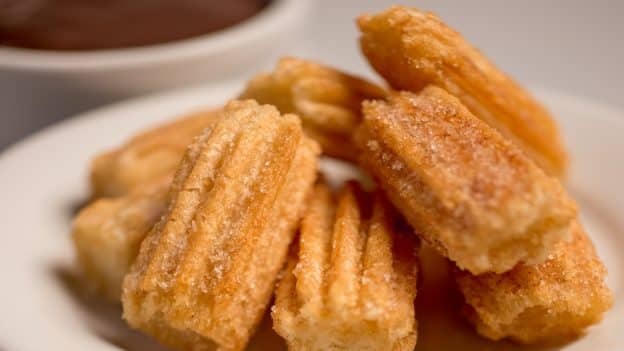 Are all of these churros making you hungry? Well I’ve got good news! Even if you’re not at a Disney park, you can make these right from the comfort of your own kitchen. Check out the recipe video below to learn how to make some delicious homemade churro tots. 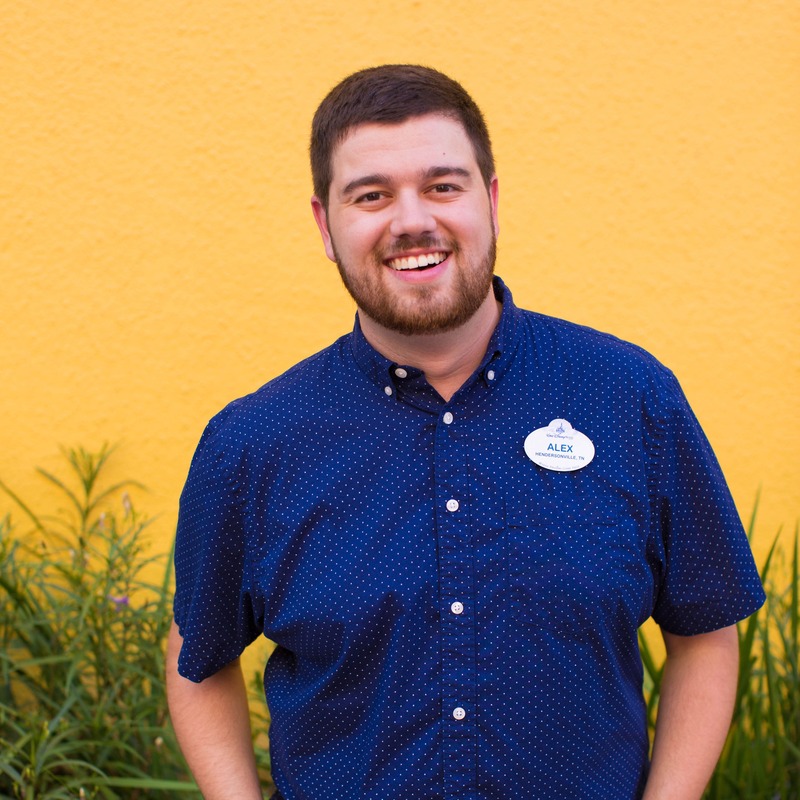 Are all the churros in WDW & Disneyland the same brand? Are they certified kosher? I know that California Churros ore, but the only place where that’s listed is in DTD Disneyland. Are the differant flavors you have at the different locations, are those permanent? I’m in the hospital and would love to try some of those flavors. Especially the S’mores one.